Why did I start a new Blog? A New Blog at New Year's eve 2009 sounds exciting! After dotnetcurry.com and sqlservercurry.com, this is my third blog and I feel proud :). dotnetcurry.com is doing quite well. 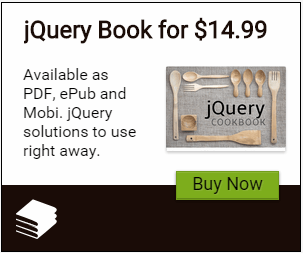 In the past one and half years we posted over 230 articles around different Microsoft technologies like ASP.NET, AJAX, LINQ, Windows Forms, VSTS, Silverlight, jQuery, Interview Questions, Vista, Expression Web, Office 2007 etc. We also got the support of a strong and loyal visitor base who gave us very valuable feedback from time to time. Believe me this new blog idea came to my mind after some of you contacted me for videos and general technology stuff, which is not covered at dotnetcurry.com. For example, I rarely announced new products or spoke about different developer tools at dotnetcurry.com. 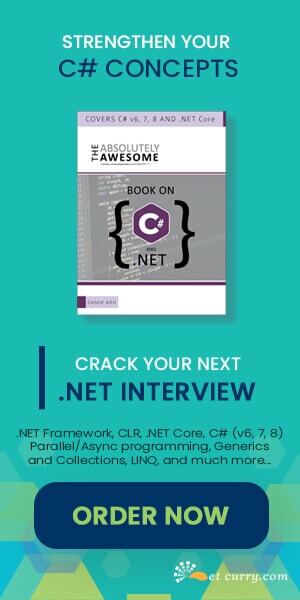 That was deliberate as dotnetcurry.com is a website and focuses on .NET and MS technology articles. Now since this is a pure blog, I will feel free to post technology stuff that inspires me and others! Moreover, I do not have to restrict myself to just Microsoft technologies. I will write anything and everything that's related to the technology world. What do I plan to cover here? One of the most important things I plan to cover in this blog is to record screencasts and post them here. Does that mean you will contribute less to dotnetcurry.com or sqlservercurry.com? Not at all! Infact I will be contributing to all the three blogs regularly. I plan to dedicate a lot more time to blogging. Yes you can. All you need to do is to provide me the same feedback and support as you did in dotnetcurry.com. Use the comments section below and write back to me. You can keep up with the blog by Subscribing to the Feeds or Subscribing via Email.